KL Special Force was the first ever Malay film I ever watched in the cinemas in the 28 years of my life. Well what inspired me to do so was something that happened 2 weeks ago when I watched Lee Chong Wei in cinemas. I entered the wrong cinema hall and end up watching the opening scene of KL Special Force before releasing that it was not Lee Chong Wei. I dashed out of the cinema hall before heading to the right hall to watch Lee Chong Wei. 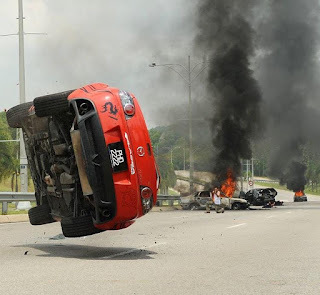 However, the opening scene of KL Special force impressed me so much that I decided that I had to watch this film in cinemas before it is removed although it will be in Malay. Language is not a barrier in films and this is something I had to watch. 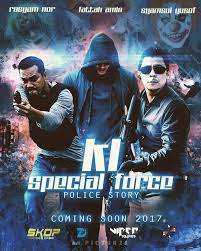 KL Special Force was released on 8th March 2018 and it stars Dato Rosyam Nor, Syamsul Yusof & Fattah Amin. 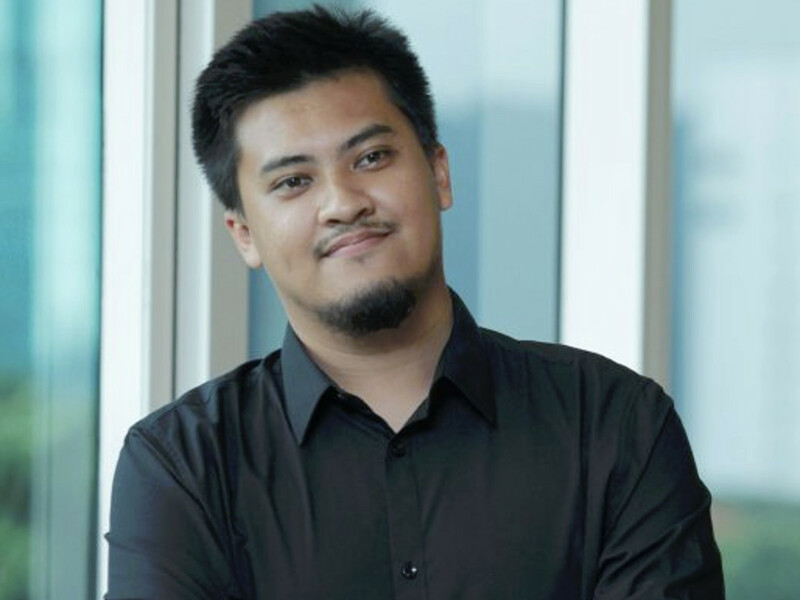 The film was directed by Syafiq Yusof. 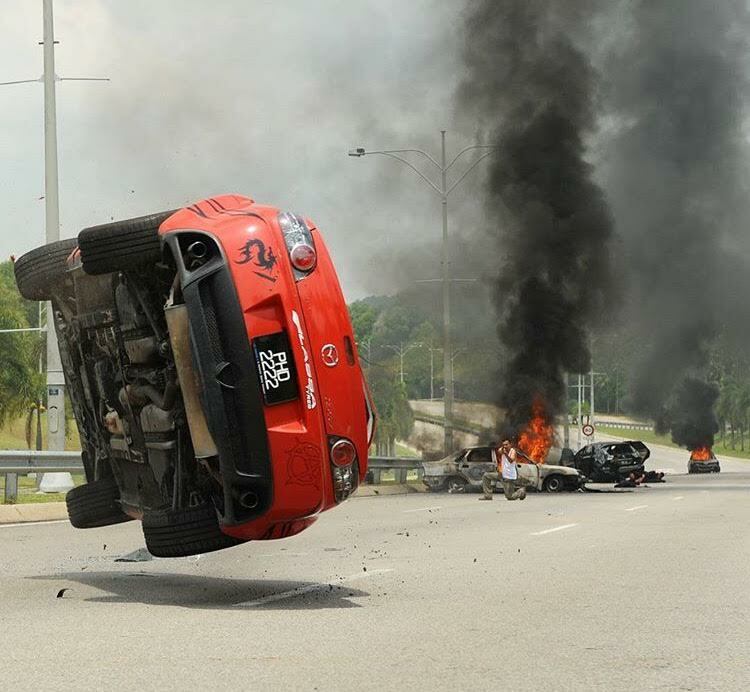 KL Special Force is one of the most engaging and racy film you will watch. The amount of plot twist and turns that takes place in the film will mess with your mind so much. Whenever you think you know what is going to happen, the story takes a turn or twist in a way you wouldn’t expect. If I were to summarize the film into a one liner, KL Special force is a film about a group of police task force attempting to bring down a group of bank robbers. Where the film stands out for is the multiple layers and theme that is written into this films. The first layer is about the police trying to catch the robbers. The second layer is about how a heavily pressured cop deals tries to cop with the demands of being a father and husband. The third layer is about exploring the dynamics between having a hot headed young cop teaming up with an experienced calm cop and the misunderstanding in it. There is also another layer which explores the motives of the robbers as well. The first time I came across the name of Syafiq Yusof was when I saw the trailer of Desolasi. For those who haven’t watch it, do check out the trailer of Desolasi and be prepared to get your mind blown with it. I never had the chance to watch Desolasi in cinemas, but I managed to catch KL Special Forces and you continued to impress me further. As mentioned about, the story of the film was amazing, and it was something I truly enjoyed throughout. Another huge credit to the director and his team should be in the area of cinematography. The way the action sequence and chase sequence were choreograph, and shot was amazing. The camera movement and shots of many of scenes were fantastic. The film does some very good visual storytelling. The scene and emotions of the actors speaks to loud even if there are no dialogues in it. It is just brilliant visual storytelling and once again credit to the director and the DOP team. Another area which impressed me, so much was in the area of sound detailing. Let it be the gun shoots and things exploding and breaking, it was done with so much detailing. The panning of the car engine sound reducing as it leaves the scene was also done with full of detailing. It is wonderful to see so much effort put into these areas. The director also deserves credit for extracting quality performance from his cast and also ensure that the editing was done very neatly and ensured that the film remained racy and engaging despite it is an emotional family scene. An area of the film which I felt let down was the blood splattering vfx in the film. It will that it was just a splash of red colour appearing and disappearing without leaving a stain on the shirts of the victim. The second part is I felt was there was enough back story given to the rest of the bank robbers crew. I felt there was a little love story brewing there but the bank robbers’ characters don’t get the full chance to explore the depth of their characters scope. It results in them being more then an added weight to make up the numbers rather than contributing to the scope of the film. The second time I saw him acting was in Lee Chong Wei and I was very impressed with his performance as Misbun. 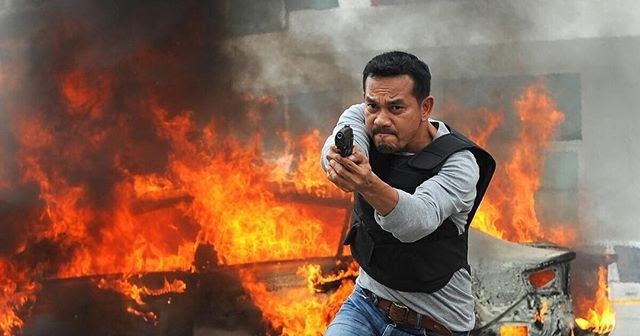 You know that he is a talented actor and now with KL Special Force, he has surely sealed a reputation in my mind that he is such a terrific performer. There are many scenes in this film which he will take your breath away with his performance. Two scenes in this film was my favourite. First is when he screams to his wife during his daughter’s birthday party about how he nearly died that afternoon and how do you expect him to be happy. That switch of emotions from being mentally disturbed to being aggressive and angry was just wow. The second scene is when he begs to the Ashraff character to spare his family’s life and in return takes his life. The way he begs and break down was amazing. He has always been this tough hard-hitting cop who goes all out but switches when it comes to family was a great joy. It was a pleasure to watch you act. He plays the role of Ashraff whos is also the leader of Geng Anarkis. 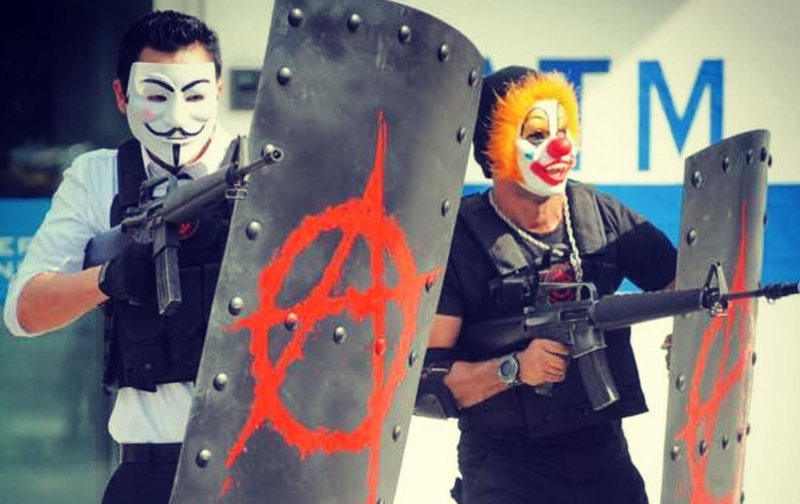 I’m not sure why the symbol of Geng Anarkis looks like the symbol from Avengers but that should be least of your concerns because when you see the way Syamsul Yusof plays his role, you might just root him to win. I loved his character design in the film. It reminded me a little about how the Joker was in The Dark Knight. His smartness, cunningness and the way he manipulates people. There is a moment in the film which reminds me of how The Joker tries to convert Harvey Dent into becoming Two- Face. Syamsul Yusof delivers his character in his own way and this will be one of the best villain you will see on screen. It is almost you can even beat him. Even at the end you wouldn’t know if he actually won or lost. I loved how he balanced the emotions involved with his character. Let it be when he is calm, aggressive or emotional he adapts his characters emotions and thought process well into those moments which makes his character such a strong figure in the film. I always believe the stronger the villain, the greater the hero looks like and the power play between the hero and villain is a great explain of this philosophy. 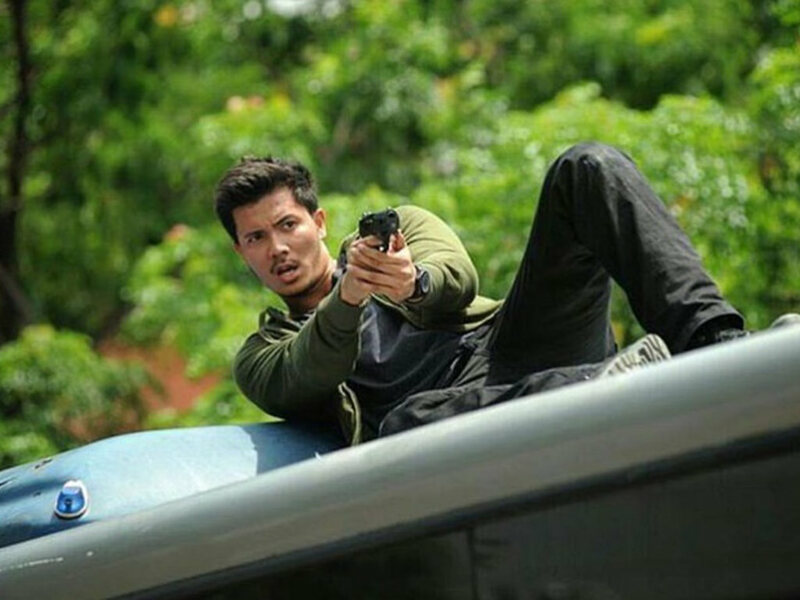 Fattah Amin plays the role of Zulkifli who is a young cool hot-headed cop who initially doesn’t get along with Roslan (played by Dato Rosyam Nor). He is shown as somebody who thinks that he is very smart and eventually does more harm than good. Fattah Amin physically looks very suitable for the role as he looks well built and composed to play the role and delivers well when he needs to explore a romantic but disturbed by work state of mind with his fiancee. Final Verdict: A Thrill Ride That Glues You To The Edge Of Your Seats. Karthik Kumar's Blood Chutney Giveaway!